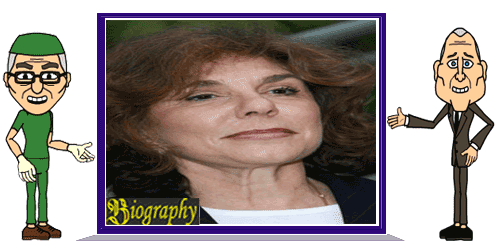 Teresa Heinz was a businessman and philanthropist from the USA. She is the widow of the H. John Heinz III. After her husband died, she married a member of the Senate John Kerry. Teresa Heinz was born in Mozambique of both parents of Portuguese descent. His father was Jose Simbes Ferreira Junior, who works as a physicist and his mother named Irene Thierstein. Heinz grew up in the capital of East Africa. In 1960, Heinz earned a Bachelors of Art in the Department of Language and Literature of Rome in the University of the Witwatersrand, Johannesburg, South Africa. In 1963 he successfully completed his studies at the School of Translation and Interpretation at the University of Geneva and moved to the United States as a translator. This is why it has the ability in English, Spanish, French, Italian and Portuguese are good. On February 5, 1966, she married Henry John Heinz III and change his nationality. In 1990, he met with members of the Senate John Kerry at an Earth Day celebration. After Henry John Heinz died in a plane crash, John Kerry is then willing to marry Teresa Heinz. It is not then make Teresa change her last name. He had announced that the last name "Heinz" has accompanied him for several important processes in life. In addition, the name is also the name behind her. Even so, he admitted that he would use the last name "Kerry" for political purposes only. Business and social activities bring it received many titles of 12 leading universities in the world such as Carlow University, Clark University, Pine Manor University, etc. In addition to the business and social fields, Heinz also play a role in the environmental field through beberpa program. In 1990, he formed the Alliance for Healthy Homes along with his colleagues. He also was chosen to be representative of the Earth's delegates at the conference in 1991.